This recipe is friendly on the waistline and on a gluten-sensitive stomach. 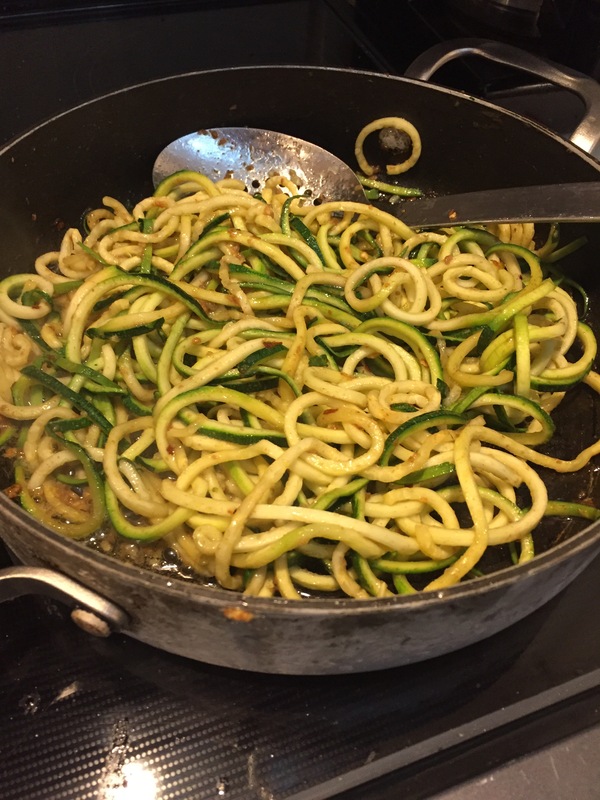 We made the noodles using zucchini instead of yellow squash, but they taste similar. We also didn’t add fresh parsley (or dried for that matter). I didn’t miss wheat noodles, and the veg noodles were light and summery. I feel satisfied, and the flavor of toasted garlic in the lemon-butter sauce that this dish built was delicious. On a side note, we did need specialty equipment for this dish. 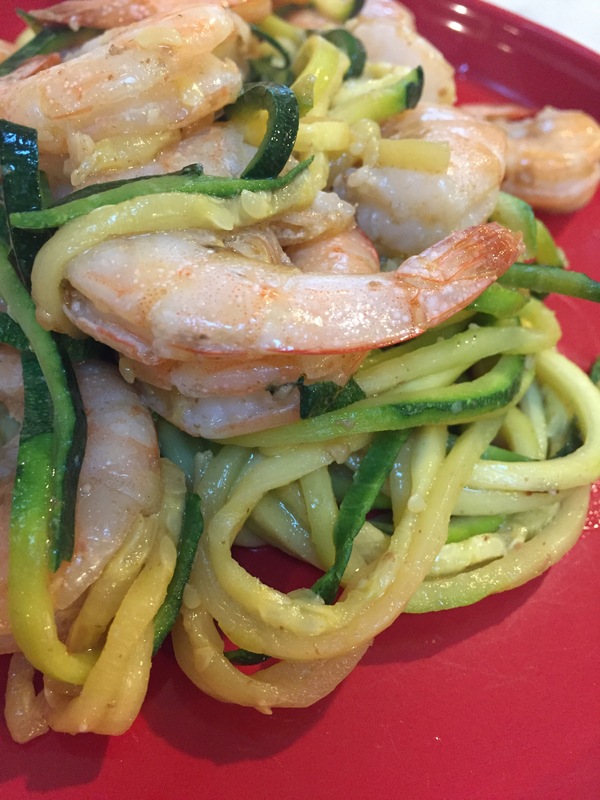 We have a veggie spiralizer attachment for our Kitchenaid mixer, but there are less expensive options to make veggie noodles. Veggetti is one brand, and it sounds dirty, but supposedly t works too. Worth having if you are exploring healthy and wheat-free options for standard noodles. 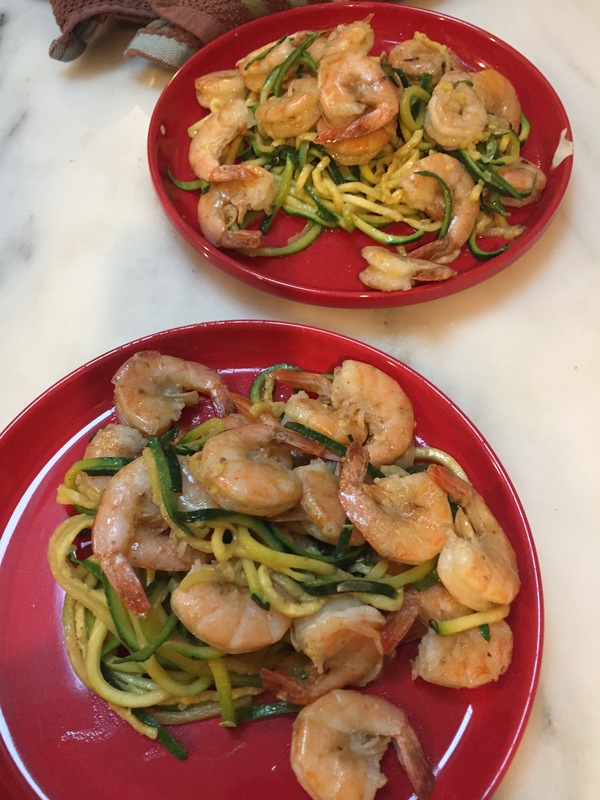 We had a demonstration at our state fair using zucchini noodles, chicken and, wait for it, grain sorghum pearls. Reminded me of barley, but totally non-stop gmo and gluten free – grain of the year 2017 – white sorghum.